I really like the Savage Worlds system a lot. It may seem odd starting a review of The Savage Tales of Solomon Kane with this statement but it's all connected. A few years ago, I did not know the Solomon Kane stories, even though I knew who Robert E. Howard was. Pulp fiction was not something I dwelt upon as I was rather focused on Call of Cthulhu and, especially, it's iteration Trail of Cthulhu. As I said before, I tend to gravitate towards books that I can use to actually feed my inspiration on what I'm currently playing. Then, quite by accident, I found an enthusiastic review on the net by one Kurt Wiegel about a "then unknown game to me" called The Savage World of Solomon Kane. I don't know if it was Kurt's genuine excitement about the game or the theme of the game itself, but something struck a chord. I immediately snatched a copy and proceeded to devour it from cover to cover. It was an absolutely awesome game, using the Savage Worlds system and the Solomon Kane setting. As I prepared my first session, and persuaded my players to try the game, I started reading all of Robert E. Howard's stories about the 16th century puritan who stomps evil with a sword, a gun and his righteous fury. In one fell swoop the game introduced me to Savage Worlds and to the worlds of Robert E. Howard: Solomon Kane and, later, Conan, El Borak and his Mythos tales. And we go back to the beginning: I really like the Savage World system. But this isn't about the system, but rather about the literary source. 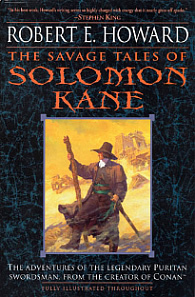 The Savage Tales of Solomon Kane collects all of the eponymous character's tales, included some unfinished fragments. And like Howard's more famous character Conan, these tales are excellent in their simplicity. Plots are not complex, but the stories are good in evoking mood and atmosphere. Solomon Kane is a puritan who wanders the world, fighting evil. Howard is a master of wedding vivid descriptions of places with the complexities of his character's behavior. It seems, at first, that Kane is a rather straightforward character, who just slashes his sword at anything who is even remotely evil, but he is driven by an inner force, something he can't quite explain, a restlessness that impels him to wander the world. And even though Kane is a rather religious fellow, who considers other races inferior (yes, the most dreaded racist overtones in Howard's stories are also present here), that doesn't stop him from accepting the aid of N'longa, an African shaman. Some of the tales are set in the black forest in Germany and England, eliciting a Gothic atmosphere of horror. In a few short sentences, Howard evokes the darkness and mystery of medieval Germany. His best tales, however, are set in Africa. Here, we find significant similarities between elements in Conan's and Kane's stories. There are ancient civilizations of primeval evil, sorcerers and sorceresses of dark power, supernatural creatures and pulse-pounding action. There are hints that Conan and Kane share the same literary universe as Howard mentions Atlantis in one of Kane's stories. The tales set in Africa allow Howard to go wild without the constrictions of historical research. This isn't Africa from the real world but some fantastic realm of adventure and fantasy. It's a pulp dream come to life. Of course, this being Robert E. Howard, there is racism but Kane is different. He is unconsciously drawn to Africa. He views himself as a kind white savior and his best ally his a black shaman who offers him a magic staff to aid him on his quests. This isn't an amoral character like Conan, but someone who will help anyone. It is very definitely a good character. 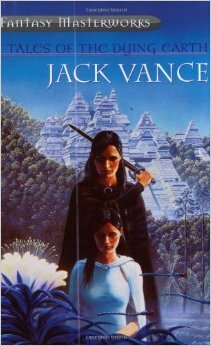 Like the Conan anthology, the Kane's stories are arranged in chronological order. The last one, a poem, depicts an elderly Kane returning to his home and a long lost love, and it goes a long way about hinting at what makes Kane tick and what he has lost in the process. 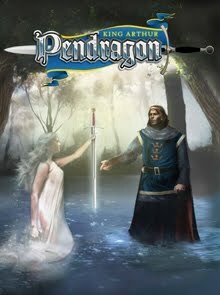 I highly recommend this book to anyone who is not only a fan of Robert E. Howard, but to anyone who enjoys a good pulp adventure yarn.